The T-Mobile Galaxy Note 8 BOGO deal is now live for those who have been holding out on a pre-order. As expected, you can buy a Galaxy Note 8 and get a second free, but you’ll have to sign-up for finance agreements and a new line, while waiting for a prepaid MasterCard to reimburse you for the cost of the second device. The basics here are this. You buy a Galaxy Note 8 on a 24-month equipment installment plan (EIP), then add a line to purchase a second Note 8 (or Galaxy S8/S8+) on another 24-month EIP. You’ll then check for promo eligibility at this T-Mobile Promotions Center site by entering promo code “17CSAMN8BOGO” within 30 days of the second device purchase. Once you sign-up for the rebate, it’ll take about 8 weeks before you get your prepaid MasterCard (value up to $930). 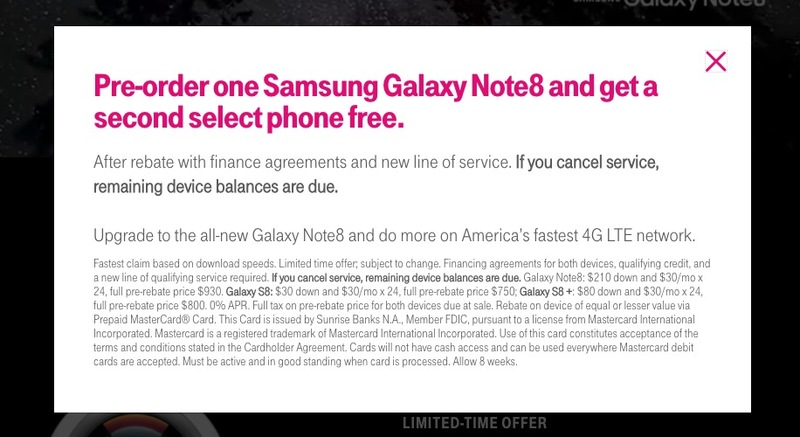 You will have to “maintain an active, eligible rate plan for each eligible Galaxy phone” with T-Mobile for both lines or they will charge you for the phones. Who is eligible? New and existing T-Mo customers, so basically everyone. JUMP! 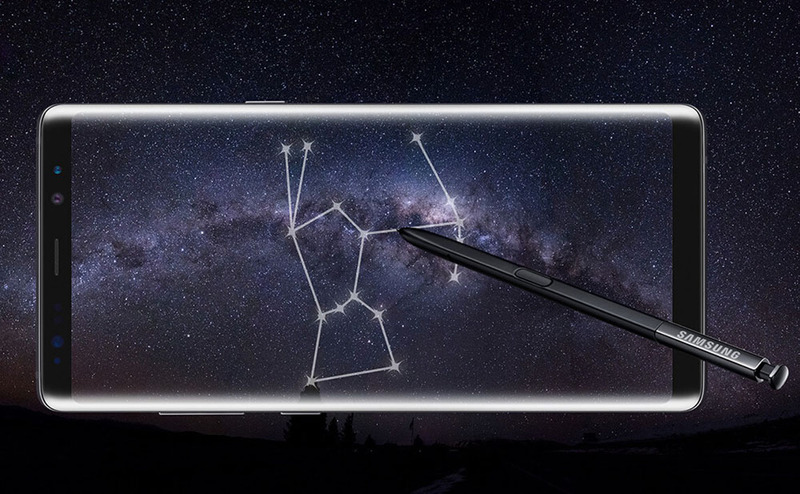 customers are eligible for the free Note 8, but JUMP! On Demand customers are not. If you already pre-ordered, you can still participate by buying another Note 8 on an EIP. Even Costco Note 8 purchases are eligible. To see the rest of the FAQ for this promo, hit up that link below.